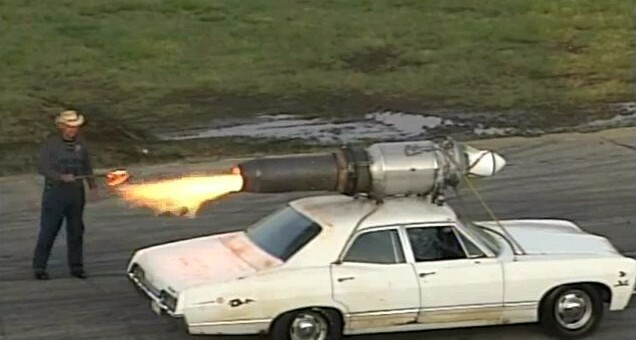 For your Friday amusement, we give you “farmer” Paul Stender dressed in character for a terribly acted skit, which only builds up to the man firing up a rocket strapped on top of a 1967 Chevrolet Impala and somehow going around a track and even doing donuts. No, really. Watch the video for yourself.